Unlock your Mitsubishi yourself online from the comfort of your home. Never worry about unexpected roaming surcharges. Broaden your choice of network carrier. Sell your Mitsubishi phone more easily. Increase the resale value of your cell phone. How to unlock my Mitsubishi phone with doctorSIM? Permanent and fully guaranteed. Make your request by filling in the online form and then to complete the process simply insert the unlock code we'll send to your e-mail. If I unlock my Mitsubishi phone can I use it with any network carrier? 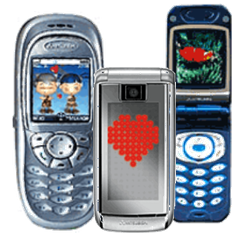 Once unlocked, you can use your cell phone with any compatible GSM network in the world. Keep in mind that you will not be able to use your Mitsubishi on the few networks using CDMA technology. Will unlocking my Mitsubishi cell phone affect the warranty? No. Unlocking your cell phone with doctorSIM will not void the warranty because the software and hardware of the phone are unmodified during the unlocking process. Do I need to know the exact model of my Mitsubishi phone? It is not necessary to know the specific model of your Mitsubishi to unlock it online with doctorSIM. Whether your phone is a V102D, Trium Mars, Trium Neptune, G310 or any other model, we can unlock it for you. Does my Mitsubishi phone have a limited number of unlocking attempts? Some cell phone manufacturers only give you a limited number of tries to unlock your phone. Fortunately, as a Mitsubishi owner, you do not have to worry about this particular restriction as you have an infinite amount of attempts to insert the unlock code correctly. Can I continue to update the software of my Mitsubishi or will the phone relock? Carry on downloading the official software updates for your Mitsubishi as normal. The unlocking provided by doctorSIM is permanent and will be unaffected by these updates. How much does it cost to unlock a Mitsubishi cell phone? The final price depends on the network provider to which your Mitsubishi is locked and the unlocking service selected. Read the descriptions carefully prior to submitting your request to make sure you select the correct unlocking service for your particular Mitsubishi. Can you unlock a blacklisted Mitsubishi phone? Yes, we can network unlock your Mitsubishi if it has been blacklisted. Unfortunately, it won't work properly on any network while reported due to loss, theft or unpaid bill. doctorSIM cannot remove a cell phone from the blacklist and you will need to contact the original carrier. Submit your request in just a few minutes. Unlocking services for all makes and networks. Does not damage the cell phone. Detailed instructions on how to insert the unlock code.